The Coach House was built in the early 50's, on a vacant lot where Rich Whitty and his buddies had played baseball. Known as the Brown Derby to the old timers, the Coach House started out as a logger's bar -- where loggers would meet in the morning before a hard days labor in the woods, and blow off steam after the day was done. You can still see the remnants of the original floor, marked with the caulk-booted prints of loggers who had spent their evenings in the tavern years ago. 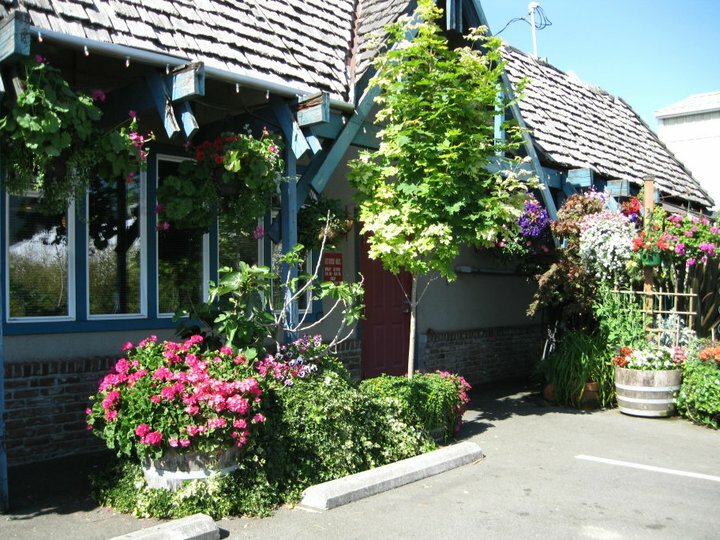 Although our name has changed with time -- from the Brown Derby, to the Eastside Cafe, and now the Coach House -- we have always remained a lively establishment where visitors and locals alike could sit back, and enjoy a great meal with excellent service. 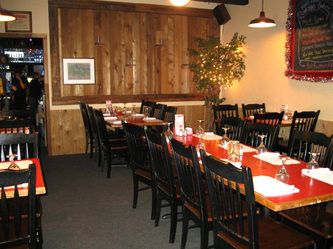 In the 1960's it had become a steak house, where logging and mill workers would be stacked like cord wood, listening to the music of Pete Oden's Country Western Band. 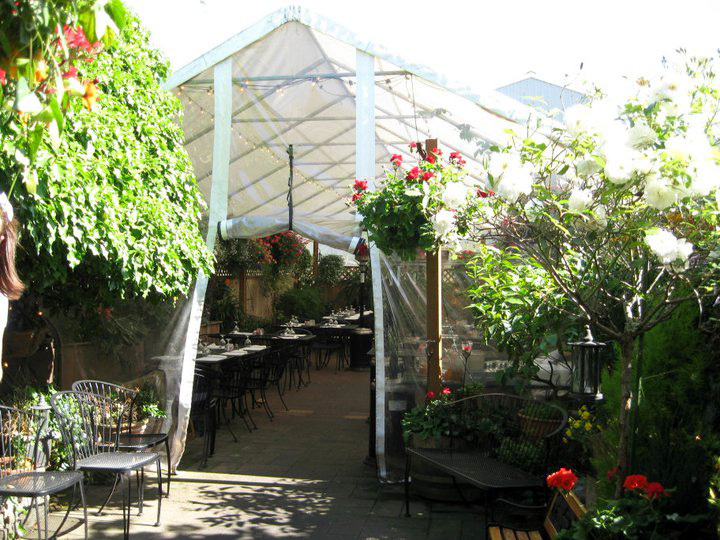 When we purchased the restaurant in 1981, it was offering Oriental food. Loy would pound his cleaver on the chopping block, serving food just long enough to close up and take his earnings over to Lindblad's in Bunkerhill to try and double his money. When Loy retired we continued to offer Oriental food for some time, before switching to the steaks and seafood we are now known for. In around 2000 we started to BBQ on Monday nights -- offering up 25 cent ribs. 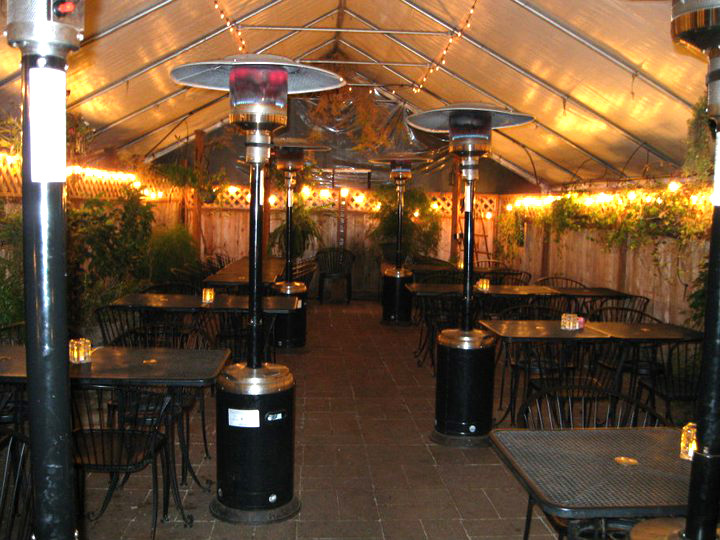 The popularity of our barbeque eventually led to seven days a week of barbequed, hand-cut steaks and local seafood, cooked outside over mesquite in our covered and heated outside garden all year long. 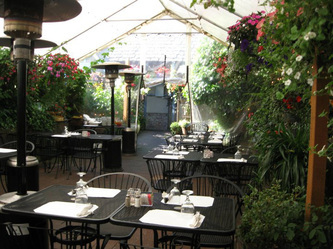 Our beloved patrons look forward to each Spring, when we put up our flowering baskets for all to enjoy. 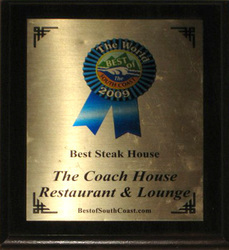 We invite you to stop by the Coach House and experience the wonderful history, food and atmosphere we are known for. 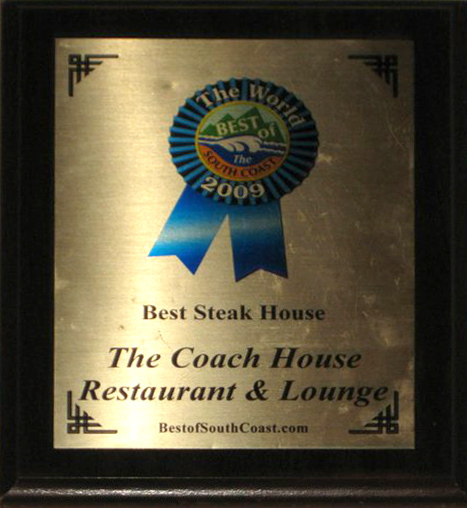 Whether you're in the mood for BBQ'd Ribeye, Bacon-Wrapped Tuna, Cajun Oysters, Crab Stuffed Mushrooms, Pasta, Salad, or your favorite beverage -- you're gonna find a great meal, great service, and great company at the Coach House Restaurant & Lounge. And, if you'd like to enjoy our food at your next party, meeting or event, we offer catering for groups large or small! The Lounge opens at the same time, but closes later.